REX™ Wrap is a tear resistant woven and coated polypropylene weather resistant barrier that provides air and moisture protection. 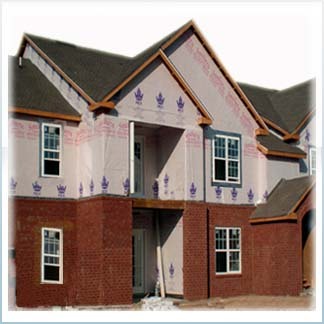 REX™ Wrap is manufactured with great translucency for easier on stud installation without the need for nailing marks and offers tear strength that will withstand the rigors of the job site and weather elements. Also, you can only get the patent pending HI-VQ Two Color Printing from Alpha Pro Tech Engineered Products, Inc.